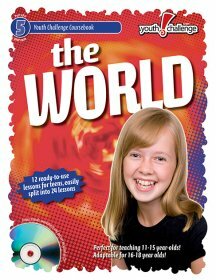 Perfect for 11-15 year olds. Adaptable for 16-18 year olds. Enough material for 12 to 24 sessions. Each book includes a PowerPoint CD with masters for visuals activity sheets, resource pages and additional ideas. Written by our CEF Workers in Northern Ireland. 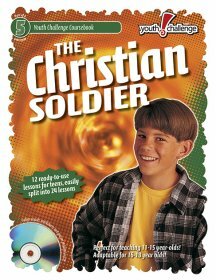 The Christian Soldier describes the battle and equipment and gives teens a final challenge to be sure they are in God’s army, trusting in the Commander, the Lord Jesus Christ. Lessons 1-11: The Equipment: The Girdle of Truth, The Breastplate of Righteousness, The Shoes of the Gospel of Peace, The Shield of Faith, The Helmet of Salvation, The Sword of the Spirit, Praying Always. The World explains the origin of the Earth, how sin entered the world, salvation through Jesus Christ, assurance of salvation, separation from the world, sanctification, other religions, missions and God’s guidance. Lessons 1-2: How in the world did we get here? Lessons 3-4: What in the world is wrong? Lessons 5-6: Where in the world are you? Lessons 7-8: In the world but not of the world. Lessons 9-10: Who in the world is right? Lesson 11: Why in the world am I here? Lessons 12: Where in world should I go? 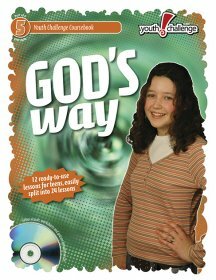 Following Jesus answers the question “Why follow Jesus?” through a study of the lives of Peter, John, Judas, Andrew and Mary. 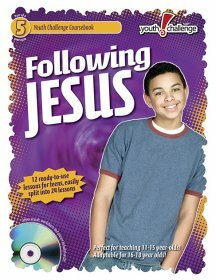 Lesson 1: Why Follow Jesus? God Says is divided into four sections: This Is My Word, These Are My Standards (the Ten Commandments), Christ Is the Answer, What Is Your Response? 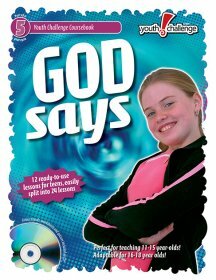 Lessons 11-12: God Says What is Your Response? : Are you Saved? Are you Growing?